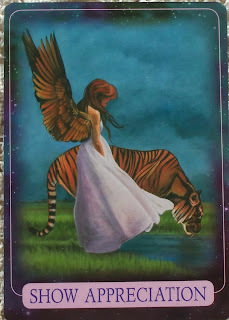 Card of the Day ~Show Appreciation~ It is common for Indigos to get caught up in their own lives, and forget to show others around them just how much they mean to them. Although you may not realize it, your friends and loved ones are only human. They have feelings and emotions, just the same as you do. You are being urged to offer and express gratitude to the special people in your life. 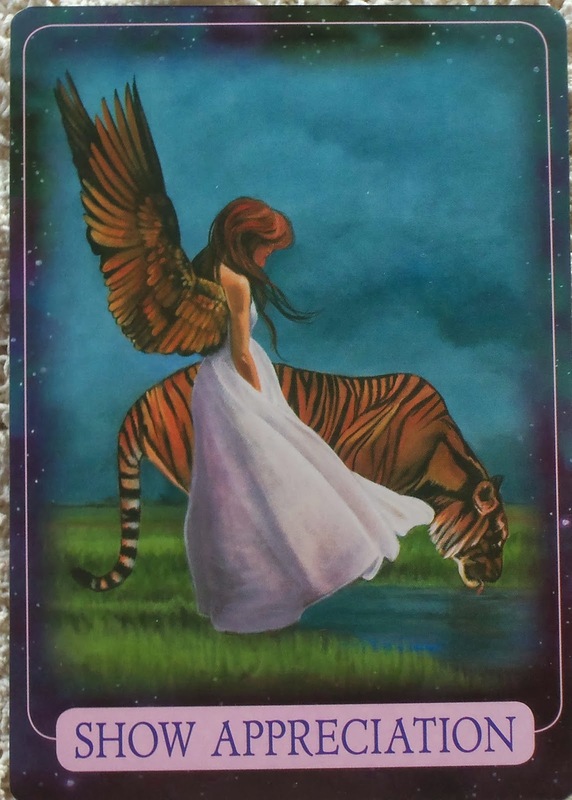 This card also asks you to shift your focus away from what you lack in life, and instead appreciate all that you do have and all that you’ve accomplished. When you can get in touch with this higher part of yourself, many more of your dreams will come true. We must express gratitude for all of the things we have in our life because each one is a blessing. Do not let greed and ego take you captive, stay in the mindset of gratitude always. Stop and look around at what you have like a home, vehicle, job, family, pets, good health, food in the fridge and cupboards etc. You see those are all things to be grateful for because many folks don’t have them. May you find peace and joy in this day my friends. I love you all!